And how is your weekend? Me? I spent this morning replacing the pipe that goes from the cistern of the toilet into the bowl. I know! It’s just all part of my glamourous lifestyle. It’s ok, you can be jealous! I just have to remember to make all the same mistakes design elements in the second half! …from my first trip to Ikea. I had to go along in person because the things I wanted weren’t available to buy online. And, despite having checked stock levels online before I went, one of the items I wanted wasn’t available. I was told they’d have stock at the end of January. Luckily, there was an alternate colour available that could work with my existing stuff. 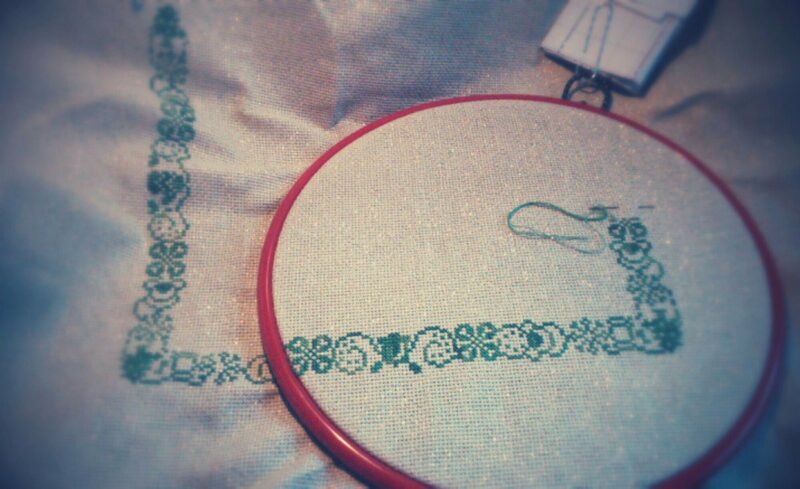 Before my “experience” I had finished the border for the 12 Days cross-stitch, and started on the boxes. I just need to print out the symbols key and off I go on week one. Week 2 is released tomorrow! 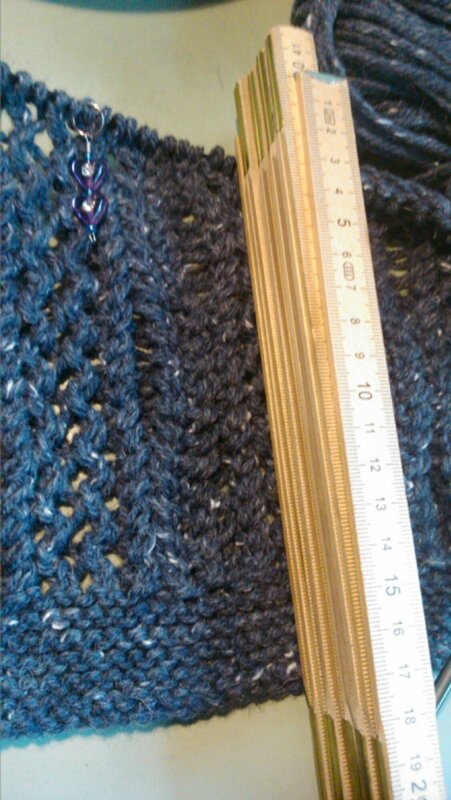 and measured against my favourite cardigan (Sesame – Rav link) to I know when to stop knitting! Because I’m just that clever! 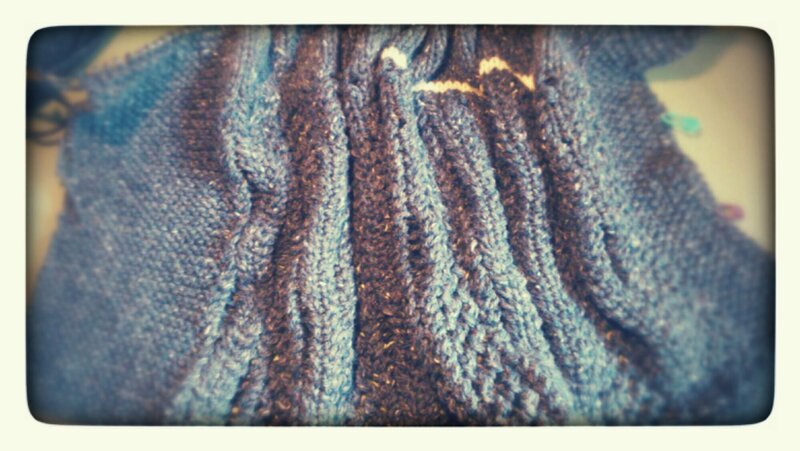 I’m knitting the Re-Wrapped About cardigan the wrong way around! 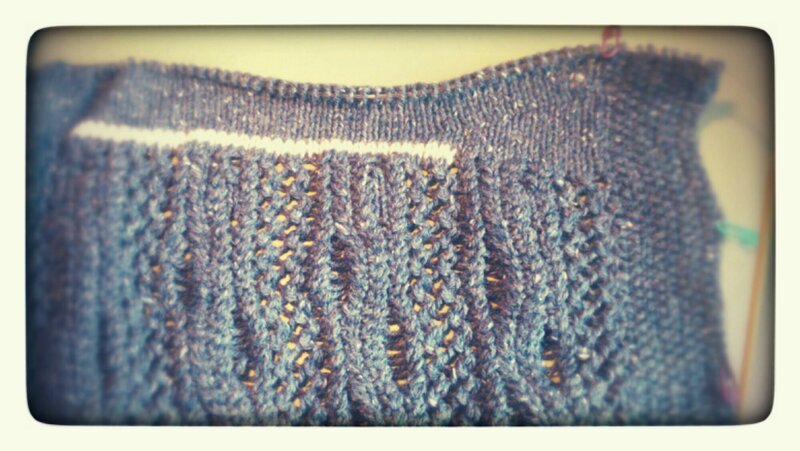 The seed/moss stitch section on the right should be where the garter stitch section is on the left. Whoops! The stitch counts are all correct but I had to reverse/alter the directions for inserting the armhole (seen in white yarn) and the short row collar shaping. For the record, I use the Japanese short row technique as I think it makes for a very smooth and pretty much invisible short row turn. 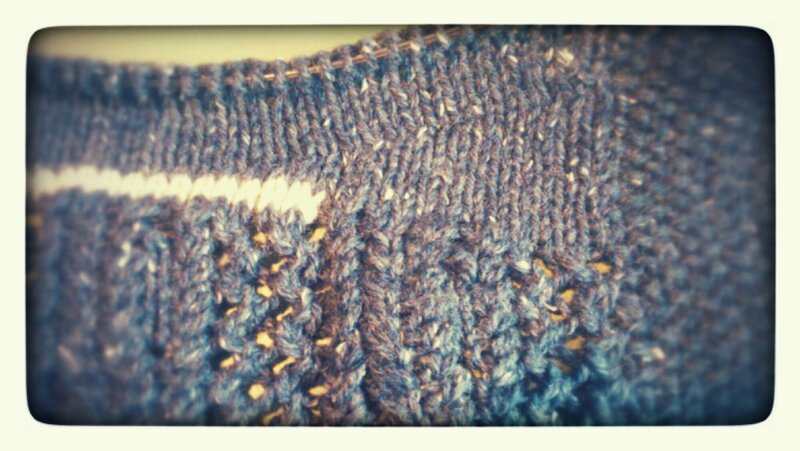 Wider view of the armhole waste yarn and collar. and possibly metaphorically. I don’t want to drone on about myself (hahahahahaha :wheeze:) but I’m doing … okay. And at this time of year, I’m taking that as a positive. I mean, yes, I’ve been pretty ill and pushed myself to do something fun and for myself, but I’m rolling with the punches more than I used to. I’m now a Cognitive Behavioural Therapy convert! (Yesterday’s progress photo for a comparison). And that, kids, is the end of (inter)National Blog Post Month. Apart from one post that was scheduled, but didn’t appear when it should have, I’ve posted every day this month. I always felt like I had something to say/show. I struggled much more with this last year, but I’m not exactly sure why.